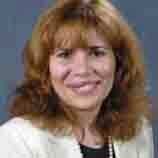 Ida Perich has over 20 years of experience in minority, women and small business development. Ida has been successful in ensuring meaningful participation of MWSBE's in all Port Authority and tenant business activities. She has delivered innovative business solutions and programs to support the growth and success of small companies, such as opening Business Resource Centers near Port Authority facilities where firms are provided free and valuable workshops in addition to one-on-one consultation services. As a result of Ida and her office's efforts, over the last five years MWSBE's have garnered over $2.1 billion in contracts, which helped create over $3.3 billion in regional economic activity and provided $1.03 billion in wages. Ida is an active member of several organizations in New York and New Jersey that foster, support and promote small, minority and women entrepreneurs.